The PBK Library is open all day every day. Visit it anytime. We aspire to serve the Presbyterian community in Hamilton. Help us do that by sending us your comments and suggestions. Designed for Presbyterians in Hamilton, Ontario. Welcoming visitors from everywhere. 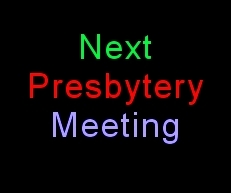 The next regular meeting of the Presbytery of Hamilton will be on Tuesday, May 14th., 2019, at 7:00 pm in Central Presbyterian Church, 165 Charleton Ave. West in Hamilton. The Presbytery of Hamilton is holding a special service to celebrate the amalgamation of the Chalmers Congregation with Trinity Presbyterian Church. The service will be held in Trinity Church, 720 Ninth Ave., Hamilton, on Sunday March 31, 2019, at 3:00 pm. The Presbytery will gather at 2:30 pm prior to the service. As it is submitted to us we try to include some local news on PresbyKirk. Such items may be displayed briefly on our homepage to give them some prominence and then continued for a time on our Church News page so that they remain available for people to view. 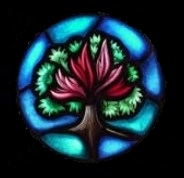 PresbyKirk is the official website of the Presbytery of Hamilton of the Presbyterian Church in Canada.